An old CG from 2015 that I went back and finished since it was already mostly done. And uploaded for the sake of getting more up this weekend. Not one of the last CG and is not really much of a pin up. not to mention this is based off Silvia's old design before I made some changes to it (reduced the bust, and a non-sexualized out outfit). Started out as a traditional sketch that was scanned in and redrawn digitally in GIMP. 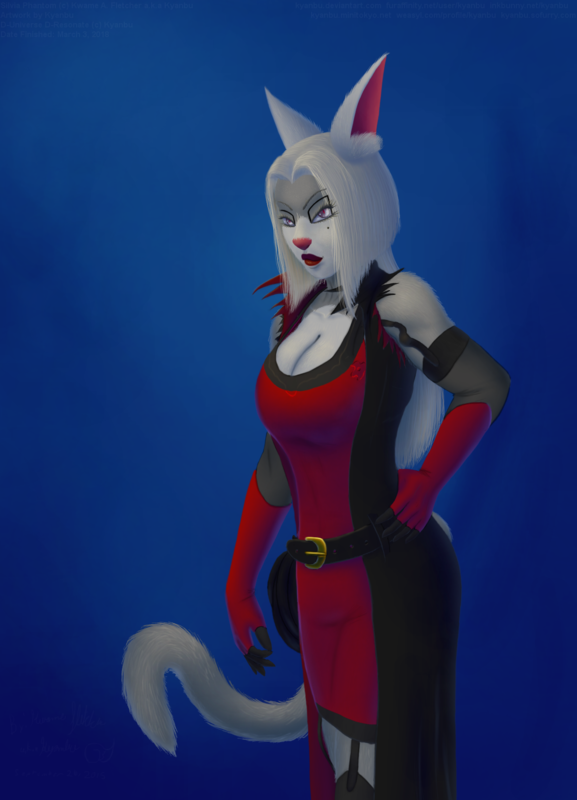 All of the coloring and rendering was redone recently and all using the brush tool. No background this time around since I'm kind of trying to move away from doing pin ups like this. And honestly I kind of don't want to waste too much time adding one to an old CG like this.